I wish 5G, with its 490 Mbit/sec. speeds and download latency times of 17 milliseconds, was just around the corner. It’s not. I know, I know. AT&T Mobility, Verizon Wireless, and the pairing of T-Mobile and Sprint are all promising 5G real soon now. They’re … fibbing. There are a host of technical, business and even political reasons why I think we’ll be lucky to see 5G by 2021, never mind later this year. First, on the tech side, we don’t have any common understanding of what 5G is. 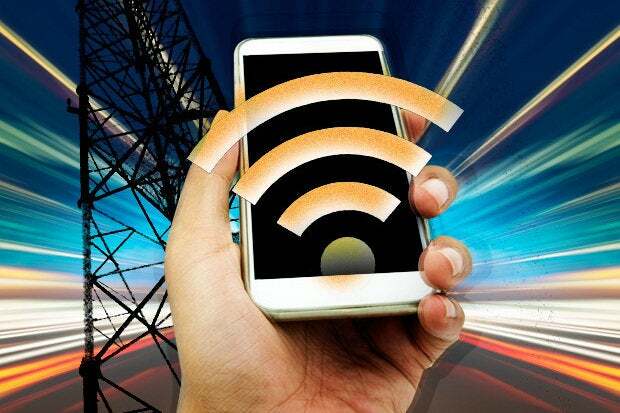 The Next Generation Mobile Networks Alliance has one 5G definition, 3GPP has another one and the International Telecommunications Union (ITU) has yet another one, which has just passed first-stage approvals. Then there’s what the vendors are actually doing, which bears some resemblance to all these proposals. Then there are purely practical matters such as, say, 5G’s range. Enhanced Mobile Broadband (eMBB), which is only one of three flavors of 5G, is the one you’ll be using with your smartphone. It makes use of multiple-input and multiple-output, (MIMO) and millimeter wave (mmWave) to, in theory, deliver up to gigabit speeds as you walk down the street and watch Star Wars: Chewy’s Story in 3D and try not to walk in front of a self-driving truck. While a seminal research paper boldly proclaimed, “Millimeter Wave Mobile Communications for 5G Cellular: It Will Work!” there are still real doubts. The real range of mmWave appears to be about about a third of a mile. 4G? It ranges from three to 30 miles. Think about that for a minute. That’s a heck of a lot of new cell towers, isn’t it? Now, in 5G’s new, shiny future, cell “towers” will be much smaller femtocells, about the size of microwave ovens, and they’ll be pretty much everywhere: on power poles, buses (no, really!) and signs. Which reminds me of another 5G headache. mmWave is really easy to block. How easy? That stop sign in front of your car? Bleck! There went your signal. Then there’s the little problem of getting enough bandwidth to all those 5G femtocells so you can stream your video. While some of that will be delivered by the new femtocells sharing with each other, at the end of the day you need fiber. Lots and lots of fiber. Deploying high-speed fiber doesn’t come cheap. In addition, one of the reasons why 5G femtocells will be so small is that the brains behind the network will no longer be on the towers, but on the cloud. On the cloud, software-defined networks (SDN) and network function virtualization (NFV) will manage 5G with Network Slicing, which will create multiple dedicated end-to-end virtual networks. The hitch here is that there are multiple SDNs and NFVs. The Linux Foundation is bringing some rhyme and reason to SDN and NFVs, but it’s still very much a work in progress. Beginning to get the picture? We have all these technologies, none of them fully mature, and all of them will cost their vendors lots and lots and — one more time, with feeling — lots of money. True, 5G will save the telecoms money. Believe it or not, the cost of air conditioning is about half of the telecom cost for mobile networking, and all those femtocells are cheap to run. Customer demand for mobile bandwidth is also bottomless, so there will be lots of money coming in. Now, if it weren’t for all those darn layers of technical problems and deployment costs, I could almost believe we’ll see 5G real soon now. Alas, this isn’t my first tech transformation rodeo, so I’ll count myself lucky if I have 5G in my hometown by 2022.